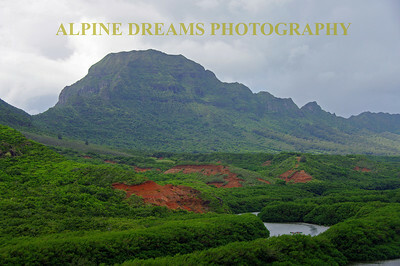 These Islands probably have the best photo oportunities I have ever seen. No matter where you look there is beauty. Get there at least once. 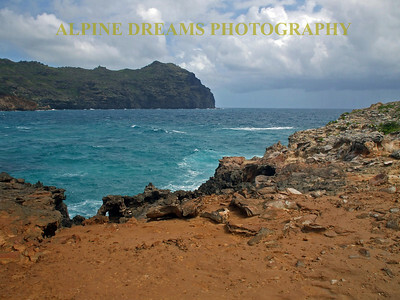 All of the islands are different and yes going by cruise ship was lots of fun. 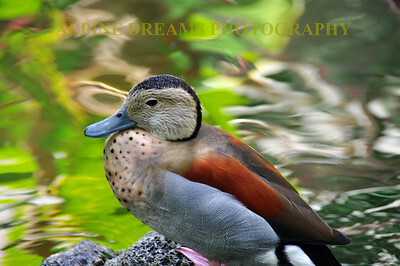 This strange looking duck caught my eye. The color variations between the blue bill, the speckled brown and gold chest, the redish-brown feathers on the wings and the other color-contrast just lit up against the black lava rock and the water. I shot this at a very high resolution so you could go big with this one. 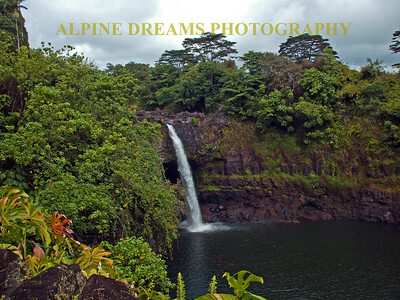 These waterfalls in Kaui were breathtaking. Even with the storm coming the colors were vibrant. 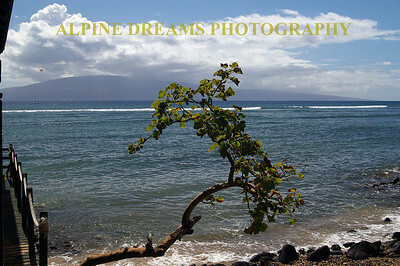 Maui has spectacular beaches with drop-dead screnery like this. 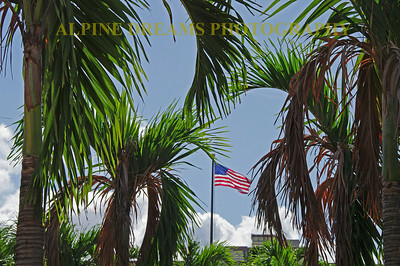 These Patriotic Palms are located near the Arizona Memorial. 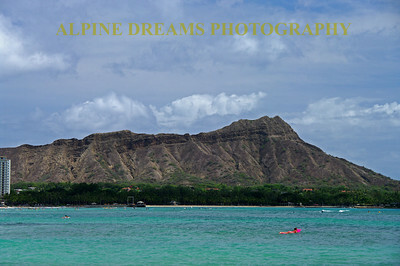 If you get to Hawaii you have to get here. 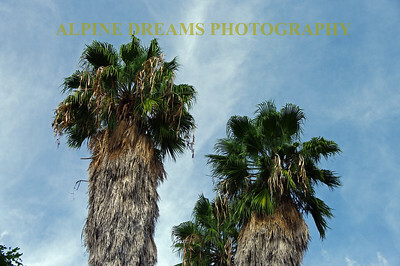 Being from the east coast I just could not stop shooting palm trees. 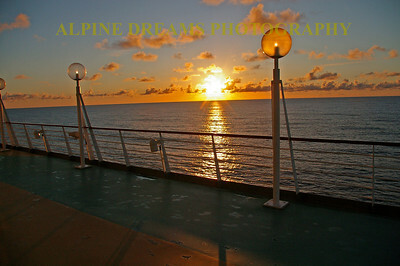 Sunset at sea off the coast of Hawaii! 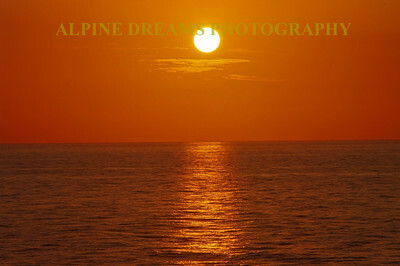 Every Sunrise and every sunset is special and different. 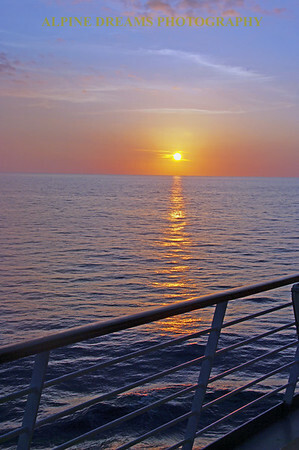 This soft sunset is reason enough to go on a cruise. 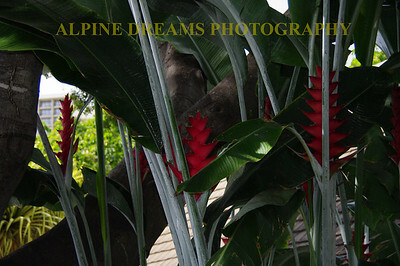 These hardy gray stalks with bright red flowers grew near the base of some giant Palms in Oahu. This dock at Wakaki beach gave a nice angle to pull in this picture with the rock jetty in the background. 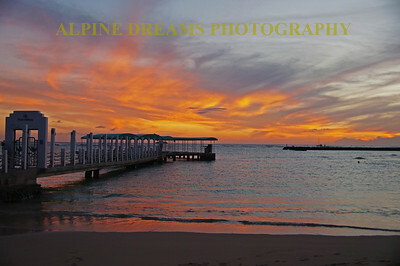 The sky was the superstar in this shot as the sun just went down leaving the sky ablaze. 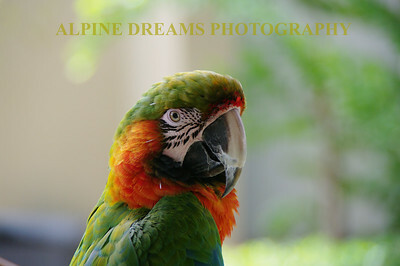 This huge Green Parrot was as brightly colored as he was LOUD. He was just sitting there in a tree talking his head off. This was shot high enough to go big if you wanted too. 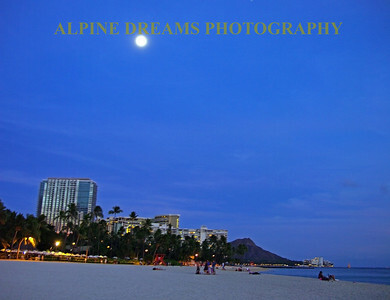 Believe it or not that is the full moon over diamond head just before the sunlight behind me gave up for the night. 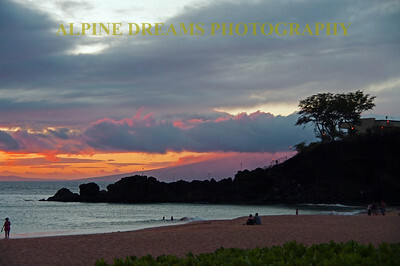 Just one more beach scene at Kaui. The only thing left out in this shot is you! and possibly an ice cold Corona! 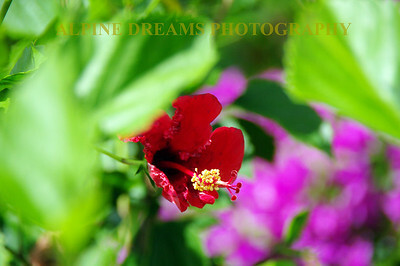 This wild flower grows all over the islands. Alittle nicer than dandelions! 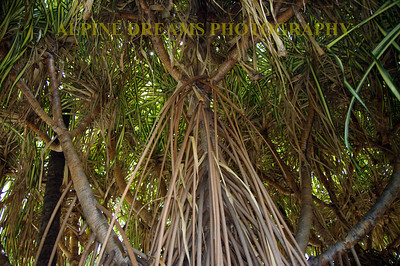 These Palm trees are pretty different than most I have seen. They shoot skyward and it appears that as it grows the old leaves stay on and protect the trunk. 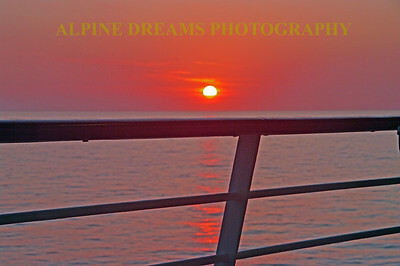 Just another beautiful sunset at sea in the Pacific. 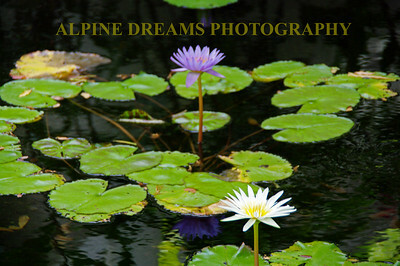 These water lily's were quite beautiful in a pond in Oahu. From a high perch I was able to grab this shot as the sun was leaving for the day. 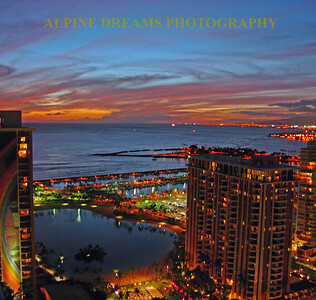 The lights of the high rises and the sky and water brought this scene together in Honolulu. 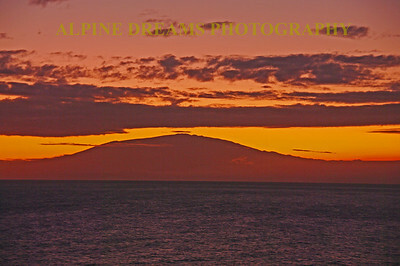 This is the Big Island pre-dawn (at least from this side of the island it was pre-dawn). This island has much to offer and should not be missed. 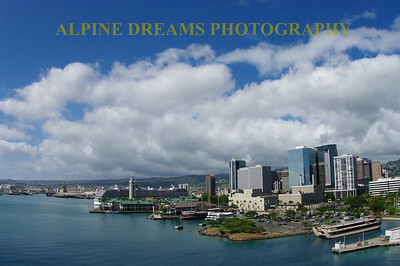 skyline of Honolulu in mid afternoon sun. I was told that this area was used in making one of the Indiana Jones movies. 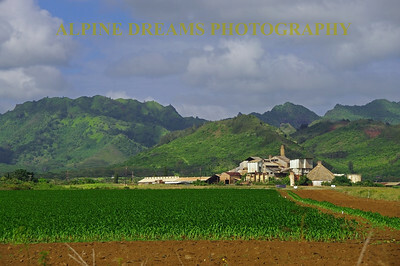 believe me the island of Kaui has seen its share of big movies shot here! 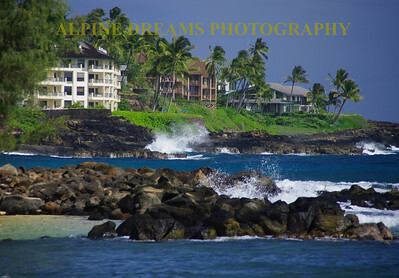 The shoreline at Kaui is very diverse. Note the color of that water. 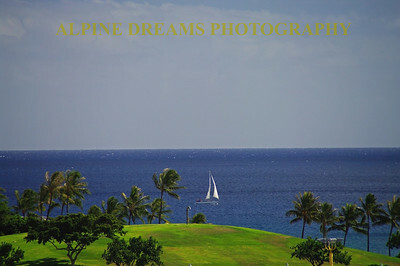 The sight of this Sailboat under full sail leaving Honolulu for a sunset cruise is beauty to behold. 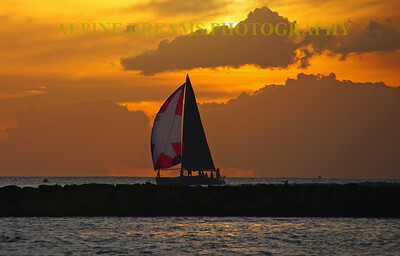 The colors of the sails against the golden-yellow sky make this one of my favorites. To me it was the right place at the right time. 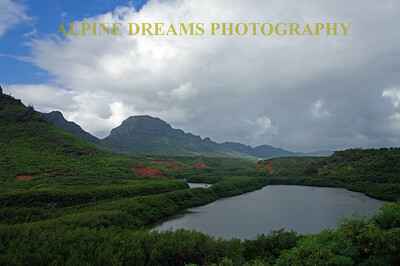 The wild chicken should be the national bird of Kauai. They roam all over and can be heard all times of the day. 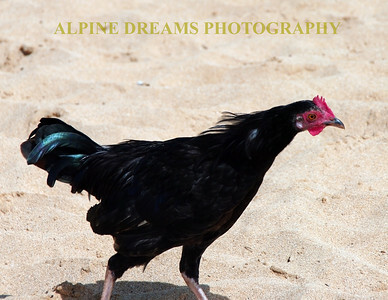 This wild chicken struts around poipu beach. The locals tell me the only thing that tastes worse than wild chicken is lava. 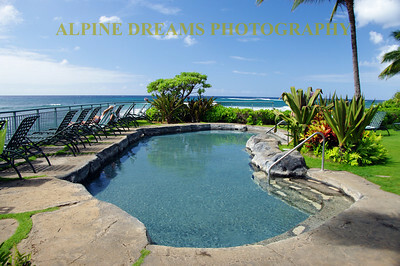 This is a fancy hotel pool right on Poipu Beach in Kauai. We did not stay here but it looked pretty comfortable. 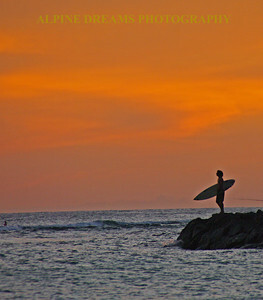 This lone surfer is contemplating his dive off the jetty near Diamond Head at sunset ( actually 2 minutes after). Most of the time they jumped in too quickly to setup as they were about 200-300 yards out. THis surfer paused long enough to let me capture this. They use the jetty to help them to get out past the breakers. This way they get more Runs ( I mean Rides) in to shore. This scene will always be one of my favorites as it is so surreal and the sky was AWESOME! 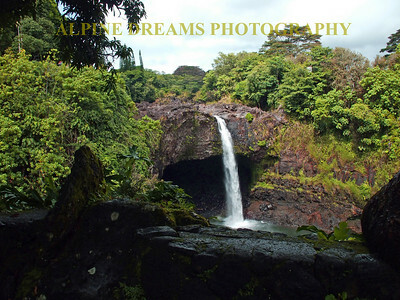 A waterfall on a cludy day in Kauai. Note the lava rock. 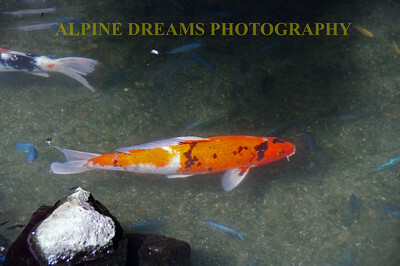 The bright COY fish along with his smaller blue friends were easy to spot in the crystal clear water. 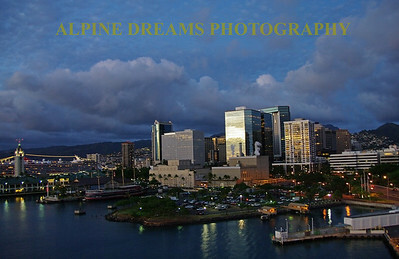 skyline of Honolulu near dusk. Another shot of Indiana Jones movie site. The multiple trunks on this tree looks almost other-worldly. 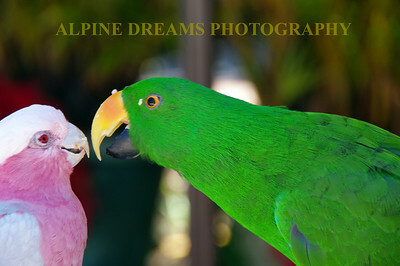 I found this lovely couple in Maui in a tree outside a small shop. They seemed to talk to each other like this for the whole time I was there. The Guy (Im guessing) is the green one and he was head bobbing and gestering for the longest time. He finally stayed still long enough for me to get this shot! 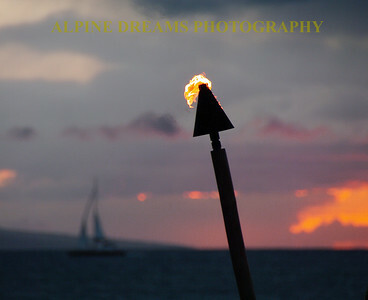 The tiki torch blew intensely as the sun set on a beach in Maui. The sails of a yacht race to the side of the frame. 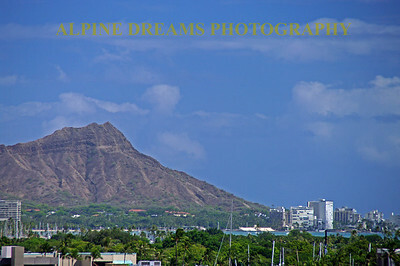 Diamond Head in its beauty shows off in a partly cloudy afternoon in Paradise. 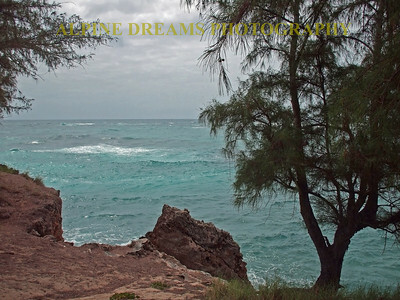 The beaches of Kuai are beautiful. 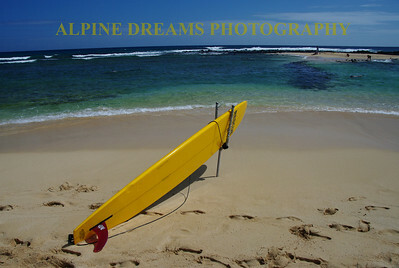 The beach of Poipu are is one of my favorite beaches in the world. 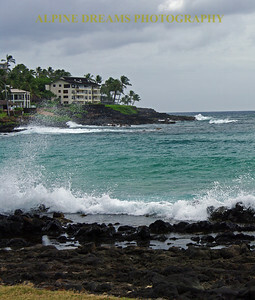 The sand, sea, rocks, houses, palm trees all get together to make you want to come back. 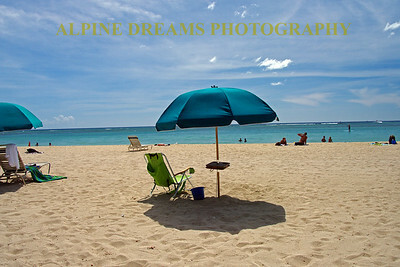 Another beach scene at Kaui. 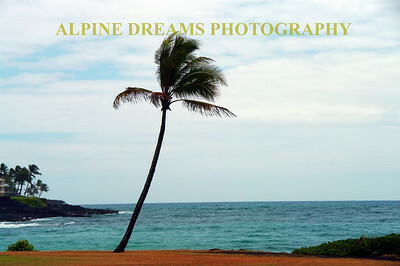 Note the color of the sand, sea, and sky as well as the palm tree added for effect. 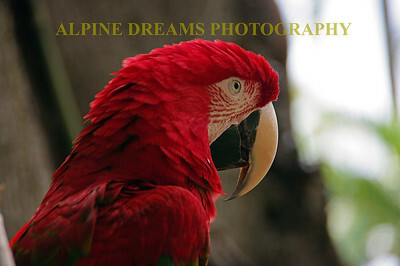 Definitely one of my favorite shots, this bright red parrot kept his eye on me whenever I got close. From his natural perch I was able to get this shot. I got some good detail on this and you can go quite large on the print if desired. 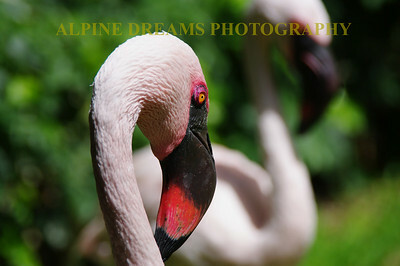 Checkout the detail on his beak and eye. 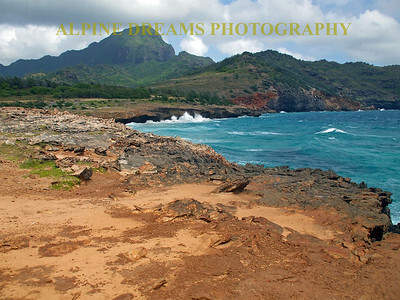 On Poipu beach in Kauai this point goes out about 200 yards. One side is mild and protected, the other side had a major under-tow. Plenty of snorkelling adventure by the coral reef. 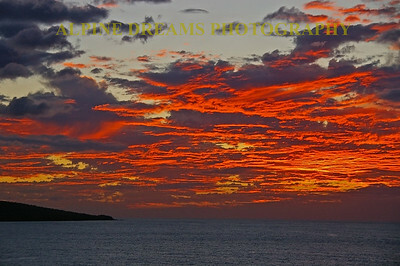 This sky was ablaze of the coast of the big island as the sun was retreating for the day. Being on the ocean afforded the expansive view. The bonus here was that the opposite side of the sky had some of the nicest pinks & purple clouds that you could imagine. 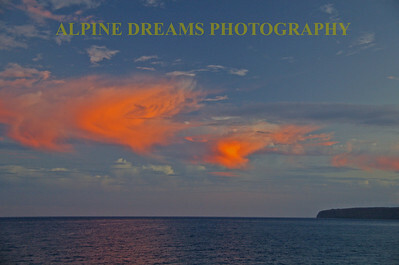 These beautiful clouds showed up in the back sky of one of the great sunsets to be seen at Sea. Note the reflection of the cloud on the water. 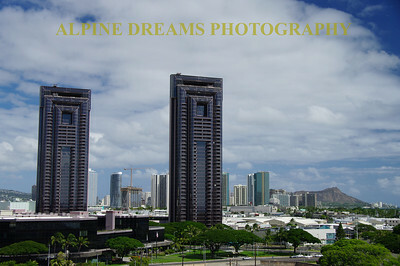 These Skyscraper twins as well as Diamond Head look quite impressive against the bright sky.